Anthropologist Ralph Nicholas ’57 has immersed himself in cultures all over the world, taking part in once in a lifetime opportunities and falling in love with anthropology at Wayne State University. Nicholas completed his undergraduate degree in anthropology at Wayne University (as it was called) in 1957. 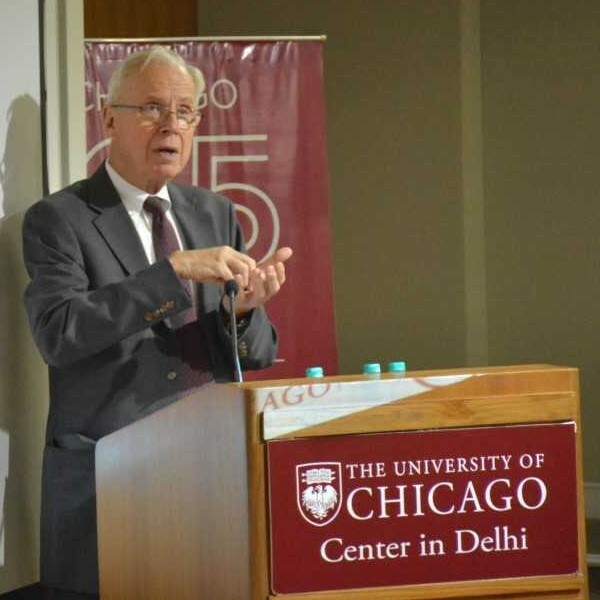 He went on to complete his doctoral degree at the University of Chicago and lead a rewarding academic career. Why did you decide to study anthropology? Like most of my cohort from Cass Tech, I was a pre-med. But when I took my first anthropology class I knew this was the subject I wanted to study. My fascination of other cultures was ignited. How would you describe your Wayne State experience? I had a wonderful experience at Wayne. While my professors were intellectually challenging, they were also showing me what an academic career might be. I remember mathematics professor Max Coral who made mathematical analysis stimulating while at the same time exemplifying a way of life. The chair of the philosophy department was an analytical philosopher, but he nevertheless raised the question of how a person creates a meaning for his or her life. Professor Bernice Kaplan encouraged me to present my first academic paper and introduced me to the field of anthropology. Where has the study of anthropology taken you? While I have spent years doing research in India, anthropology has also allowed me to travel widely and take part in many exciting opportunities. I have been to Korea, Cambodia, China, Mongolia and many other places. Before graduate school, I had never traveled abroad much beyond Windsor. I was quite nervous, but knew this was the next step I had to take. I would not have known how to pursue my doctoral degree in anthropology at the University of Chicago without the support and encouragement I got from my teachers at Wayne. What is your most memorable experience of your career? After completing my Ph.D. I was a post-doctoral fellow in London. I got married in England, while I was pursuing my research. My wife and I went to what was then East Pakistan (now Bangladesh) for field research. When a war with India broke out we were evacuated. We flew in a C-130 from Dhaka to Bangkok. There may be a worse way to travel, but I haven’t experienced it. What is your biggest academic or professional achievement? I did some administrative service at the University of Chicago; served for a term as Dean of The College, and I received a named Professorship. But I am happiest now with the four books I have published since I retired in 2000. What advice would you give to someone who is interested in anthropology? If other cultures interest you, and if you are prepared for the unexpected, anthropology is a wonderful subject. If you love research, life as a professor is especially gratifying. Since all of humanity is our subject matter, anthropology will never run out of new material. There are some people in tents on the grassland of Mongolia waiting for an anthropologist who wants to participate in their nomadic lives with them. They are as friendly and welcoming as anyone I have ever met.